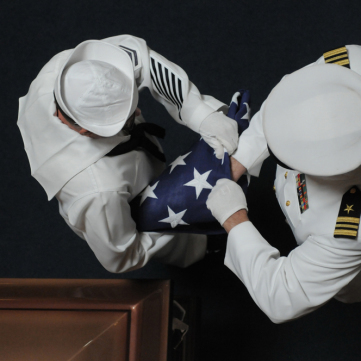 From the bright yellow of a giant duck to the red, white, and blue of a folded funeral flag, the photographers of the Pittsburgh Post-Gazette captured the news of the past year in brilliant hues. 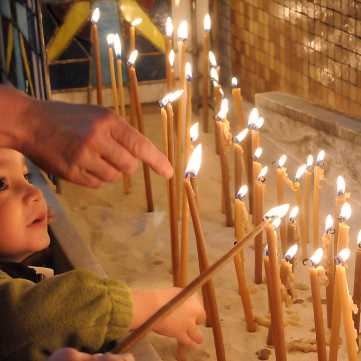 These images remind us of the silly and the serious — the people and events that impacted our lives in 2013. 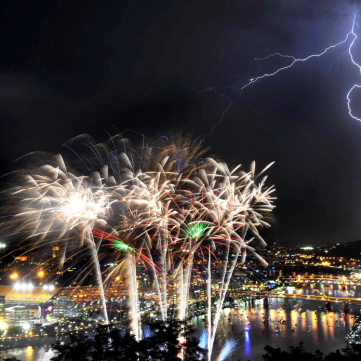 The Post-Gazette Photographers: Best of 2013 exhibit featured more than 60 photos from 2013, including the work of 13 photographers. 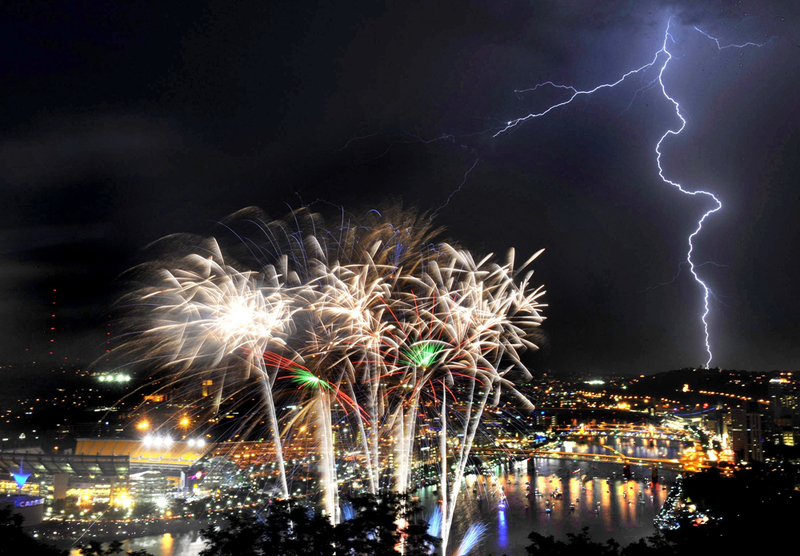 The view from Grandview Avenue on Mount Washington on the Fourth of July. 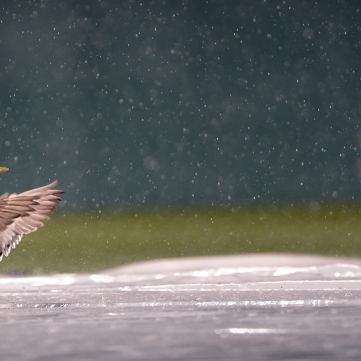 Ducks fly in and settle on the infield tarp after the Pirates game against the St. Louis Cardinals is postponed due to inclement weather. 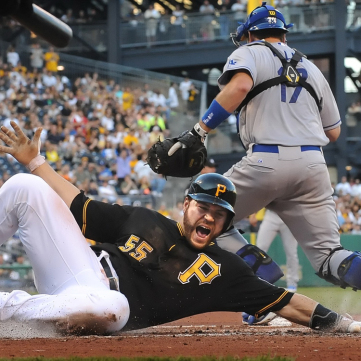 The Pirates Russell Martin slides past the tag of Dodgers Catcher A.J. 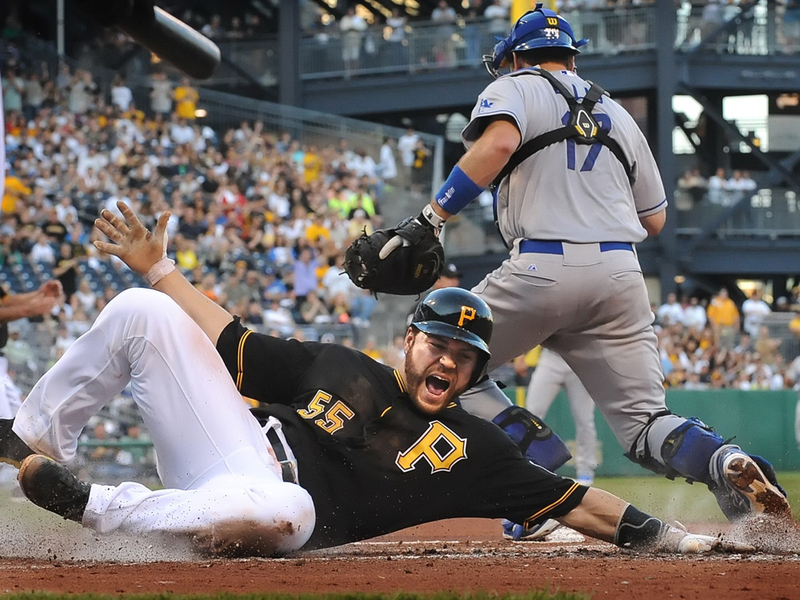 Ellis after Andrew McCutchen’s two RBI double against the Dodgers at PNC Park. 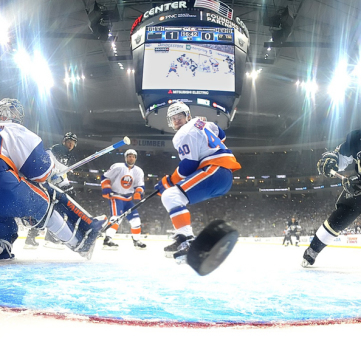 Sidney Crosby scores in the opening minutes of Game 2 against the Islanders. 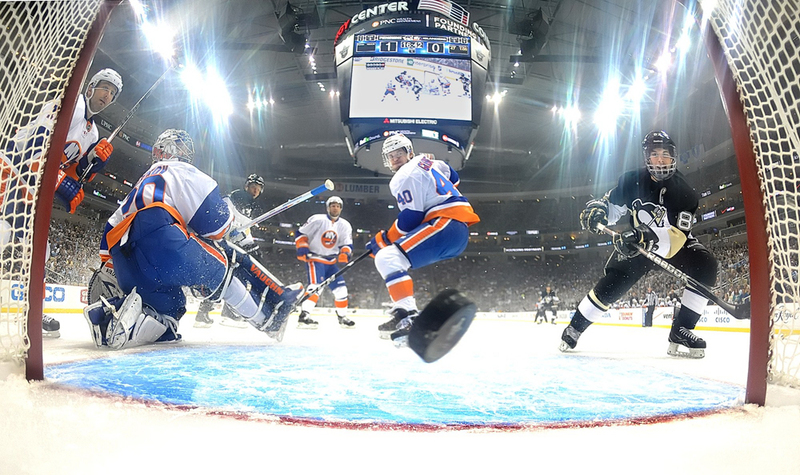 He would add another before the first period ended. 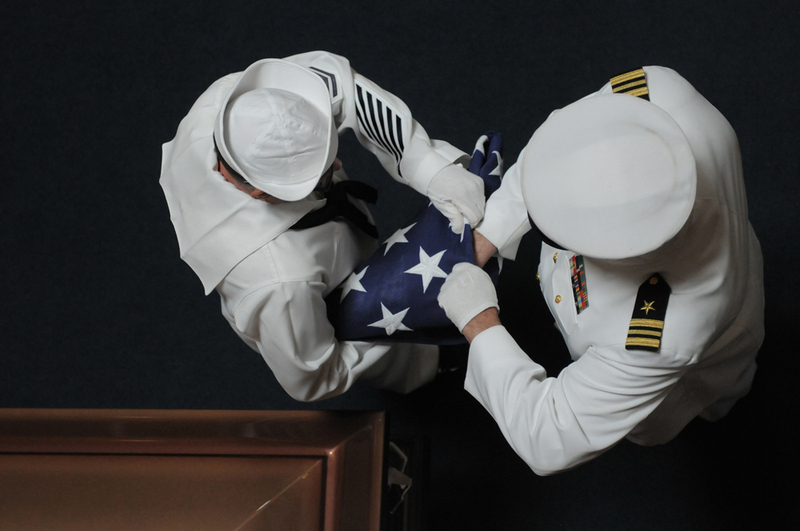 (L-R) BM1 Raymond Monath and LCDR Jeffrey Hawn fold an American flag that draped the adjacent coffin, for presentation to the family of deceased Navy veteran James Simmons. 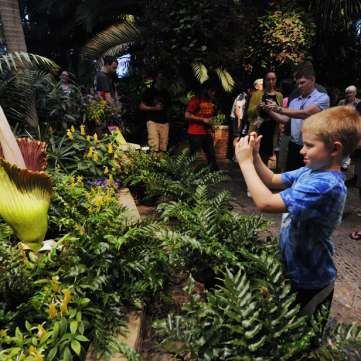 The Corpse Flower that bloomed at Phipps is named Romero, after George Romero. 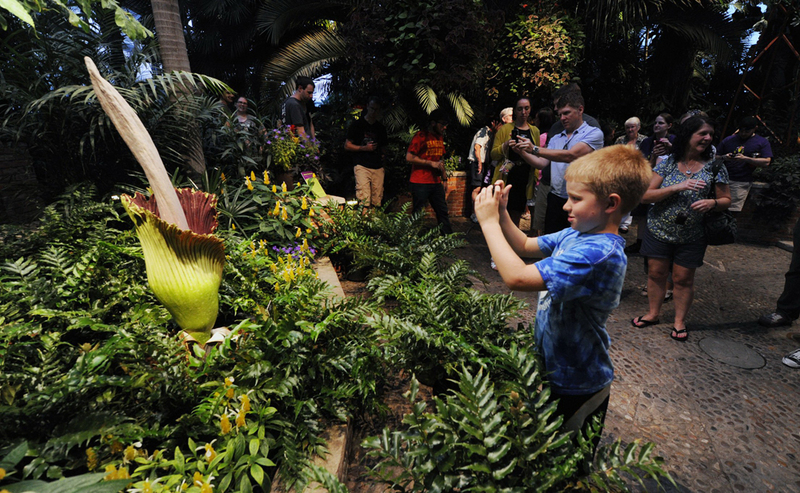 Theo Urban, 8, came with his parents to photograph the flower – which blooms, and stinks, for about 48 hours. 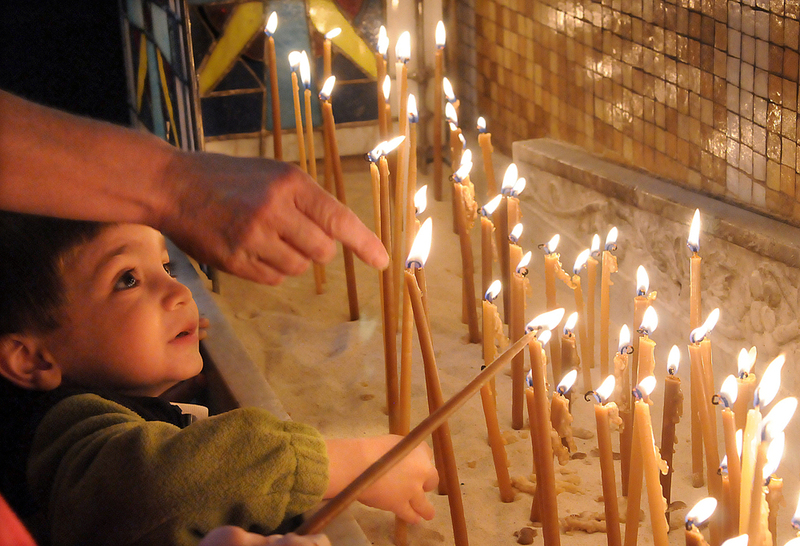 Nico DeMatteo, 3, of Munhall, lights a candle after arriving for Palm Sunday services at St. Nicholas Greek Orthodox Cathedral in Pittsburgh's Oakland neighborhood. 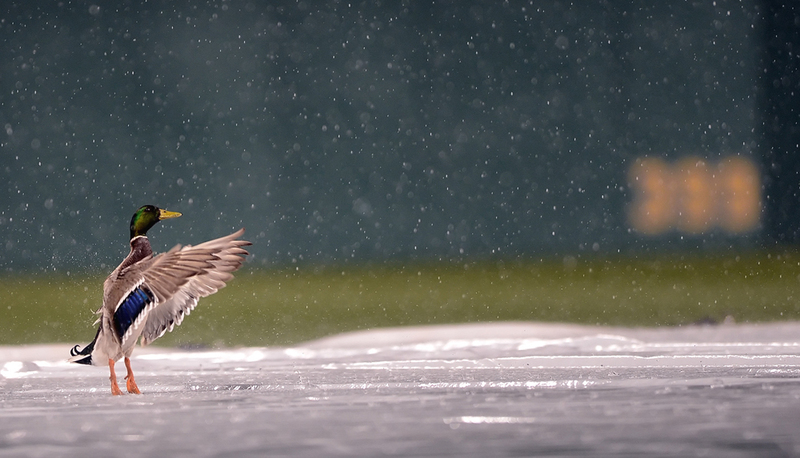 Photo credit: Bob Donaldson / Post-Gazette. 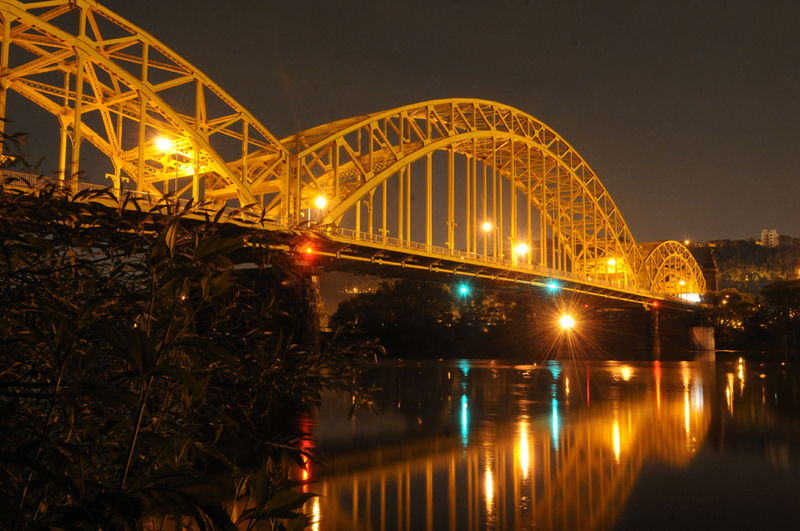 Photo made Sunday, April 28, 2013. 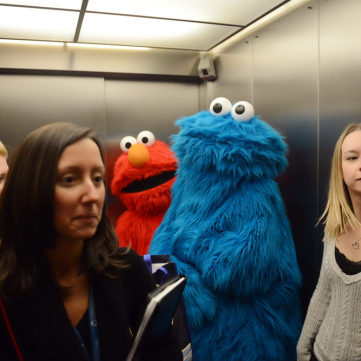 Elmo and Cookie Monster, in town to perform in Sesame Street Live: Elmo Makes Music ride an elevator at Children’s Hospital where they visited with young patients. 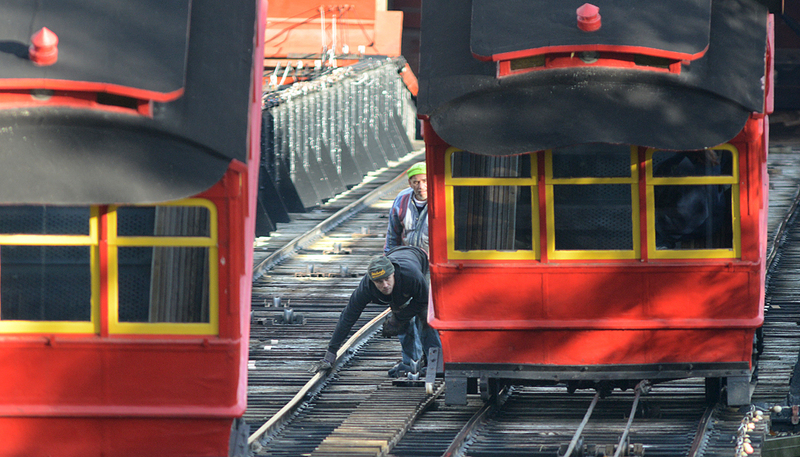 Workers stand "skinny" as the cars of the Duquesne Incline pass them while they are doing track maintenance. 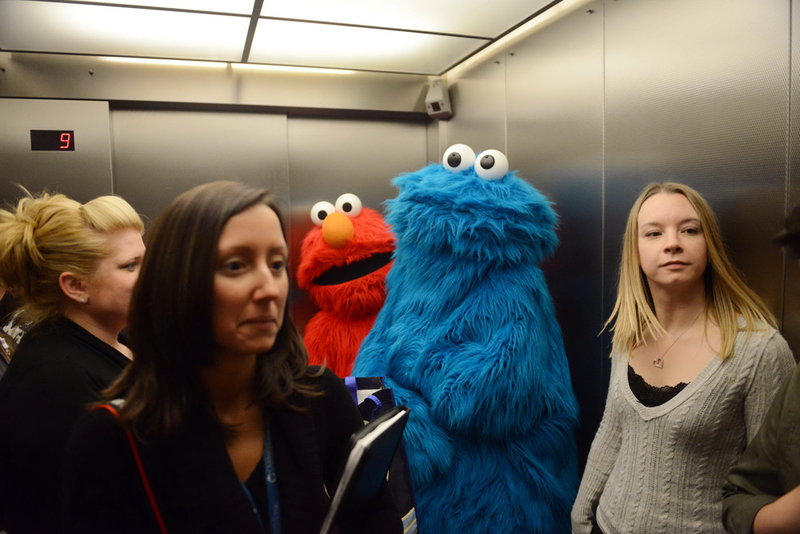 Photo credit: Bob Donaldson / Post-Gazette. 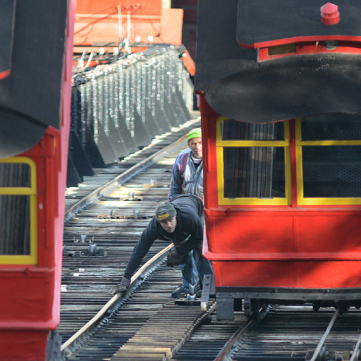 Duquesne Incline. 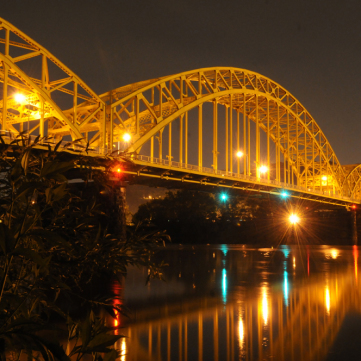 The triple arched David McCullough 16th Street Bridge reflects in the Allegheny River below.